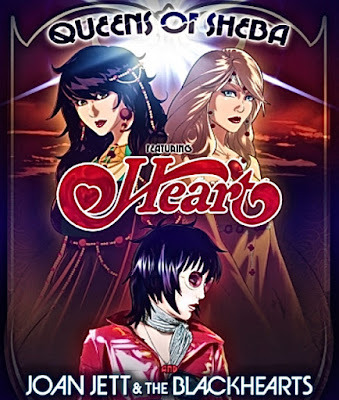 Heart and Joan Jett are teaming up for Canadian dates on the Queens Of Sheba tour next spring. The pair will perform a 10-show run starting March 7 in Abbotsford, BC and wrapping up March 21 in Montreal, Quebec. Presale tickets begin November 10 with general public seats going on sale November 13 at 10 AM local time. Both acts have been inducted into the Rock And Roll Hall Of Fame in recent years: Heart in 2013 and Joan Jett in 2015. Heart’s latest studio album is 2012’s “Fanatic”, while Jett released “Unvarnished” in 2013.